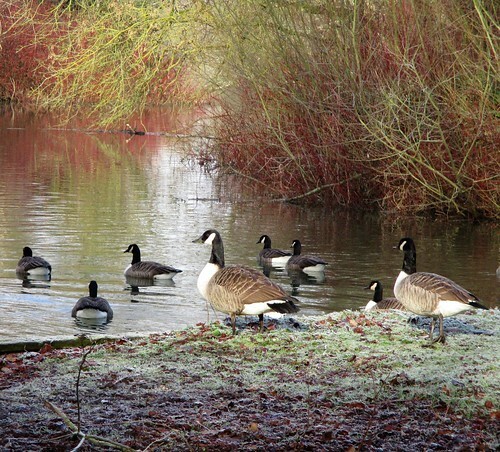 There’s an old saying about keeping your head when all around you lose theirs. 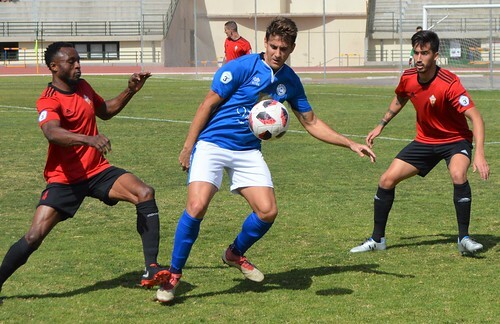 CD Marino brought it to mind as they killed off Mensajero with two classy late goals after four players were sent off following a skirmish involving both sets of players . The 86th minute flash point didn’t change the balance of the game, Marino had already dominated, particularly in the second half, and could have built a commanding lead. 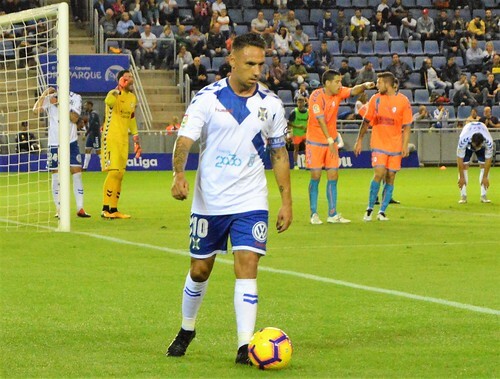 The La Palma visitors are always in the promotion mix, and played their usual style of fast breaks down the flanks with big front man Victor the main weapon in front of goal. 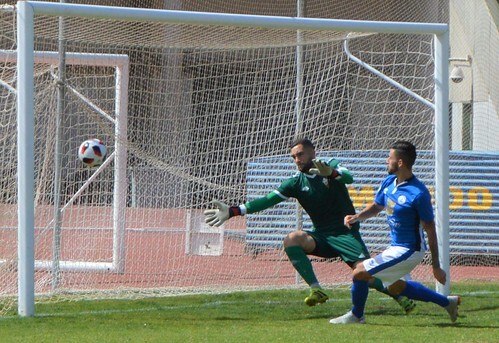 Kevin Castro tested Kilian in the Mensajero goal with an early cross that was a bit to close to the keeper. Vianney was a danger down the reds left side with full back Azael overlapping. Brandon was taking no chances in the Marino goal, when Victor was racing in for a loose ball the home keeper rushed out and cleared the danger with a strong, decisive kick. 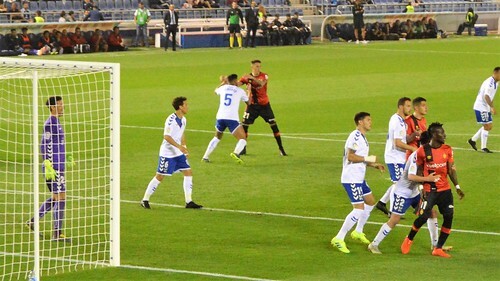 Ahmed nearly unlocked the Mensajero defence with a neat lay off but Javi Gonzalez couldn´t quite connect to put in a shot. Javi was a real handful all afternoon, he breached the defence but fired directly at Kilian. 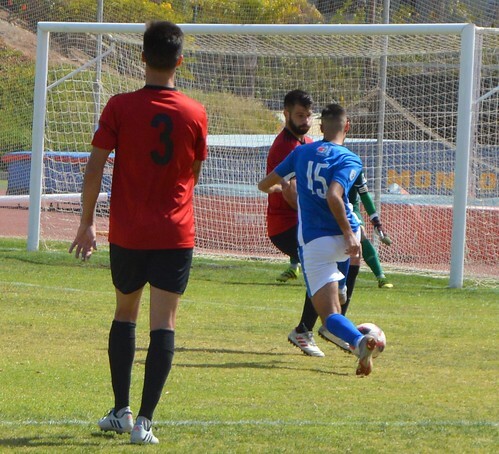 Mensajero were a strong side but found their match in a hard working Marino team, and when the visitors looked to spring through for a shot, they again found Brandon alert and ready to dispatch the ball far upfield. Marino were taking more control as the game went on, Samuel stormed through from the left back slot but his effort was high and wide. A cheeky chip from Jony towards the end of the first half fell just a bit short for Gaizka, and Ahmed created space for Jony to put over the bar just before the break. 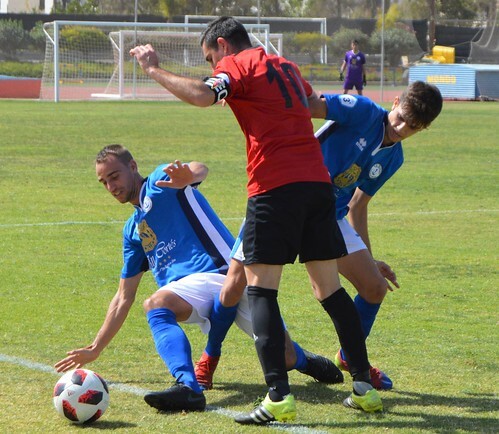 Just seconds after the restart, Javi pounced on a loose ball and raced past the Mensajero goalie as he side footed the ball beyond his reach for a 1-0 lead. Omar tried to hit back with a break down the right but Brandon was waiting with a clean take. 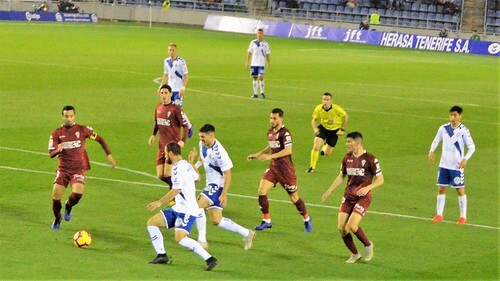 Marino put the pressure on and lay siege to the visitors goal, Javi could have made a hat trick as he continually beat the defence but was foiled by Kilian. 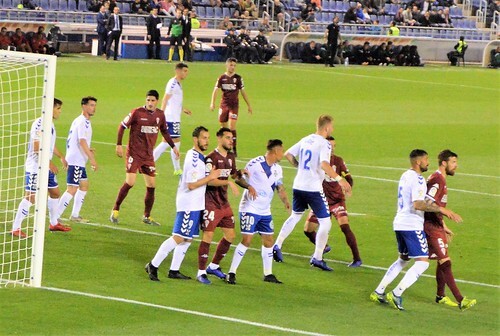 Even a double substitution by Mensajero had little effect, Samuel put in a teasing cross which Kilian caught at the second attempt. Ahmed was also unlucky not to get a better reward for his determined run through the Mensajero defence. Mylan came on for Javi with 15 minutes left and after a clash of heads with Kai, he followed up with a run across Kilian´s path as the ball ran out of play. Oscar chipped in with a few comments and the game was suddenly sizzling. 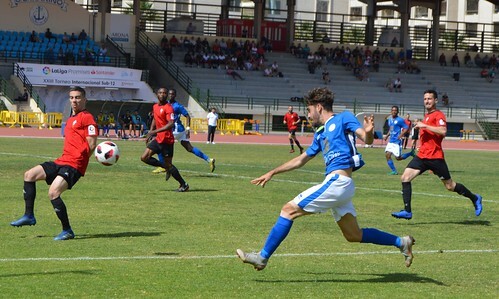 Brandon snapped up a deflected shot at the other end of the pitch but the action switched to the dug outs when Marino coach Zeben Hernandez reacted to a push by Oscar. 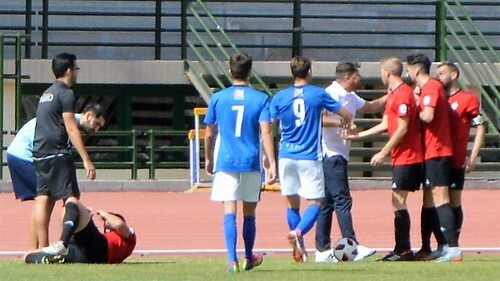 Players swarmed around the sideline as the officials tried to calm things down, it all got quite heated and once order was restored the ref sent off Juanmi and coach Zeben for Marino, and Vianney and Oscar from the Mensajero players. Marino kept their composure and Ahmed spotted his chance, winning the ball and walking it into the visitors net. 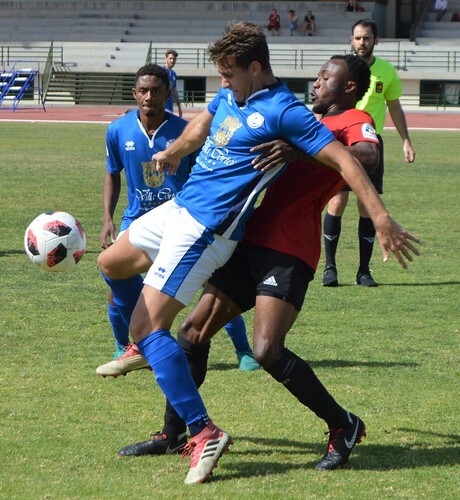 It was a crushing blow to Mensajero and Mylan went one better as he weaved his way past two defenders and the goalie before adding a third home goal. Mensajero ended the game far from happy with the ref but credit to both teams for ensuring hand shakes were exchanged between both sets of players. 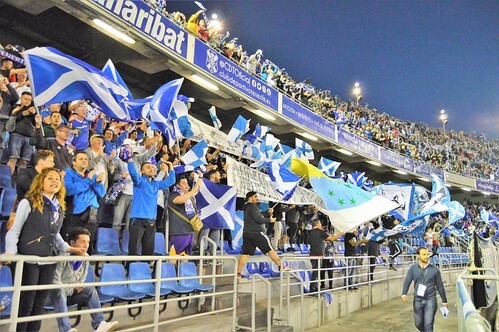 Marino now sit just 3 points outside the promotion play off zone where Mensajero hold 2nd spot, the teams may well meet again at the end of the season. 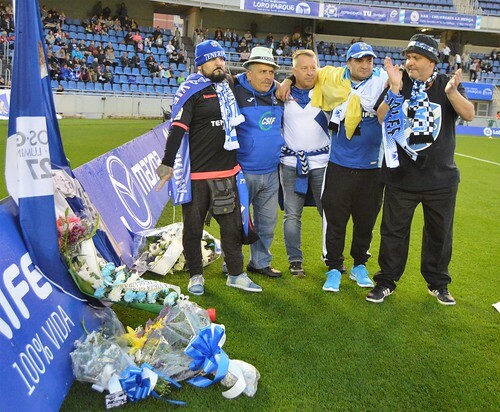 On the 12th minute mark, the Heliodoro stadium became a sea of swirling flags and scarves in tribute to super fan El Barraquito (Damian Fleitas), who died a few days before. 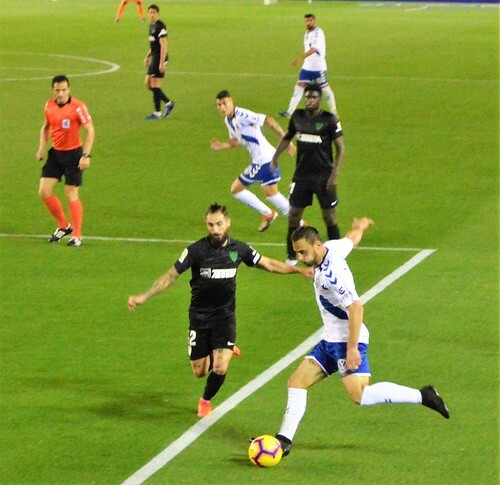 At the final whistle, the ground became a low tide of despair and disbelief after an inept performance saw CD Tenerife lose 0-2 to struggling Cordoba. Good and bad runs often overlap for the Santa Cruz faithful, but ending a three game shut out and recording a third straight game without scoring was hard to swallow for the 12,596 crowd. 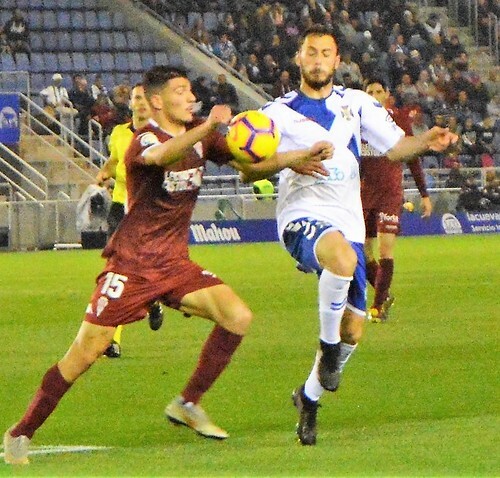 Luis Milla was out suspended and losing his influence in midfield was a huge blow but didn´t account for the negative approach, particularly in the first half. 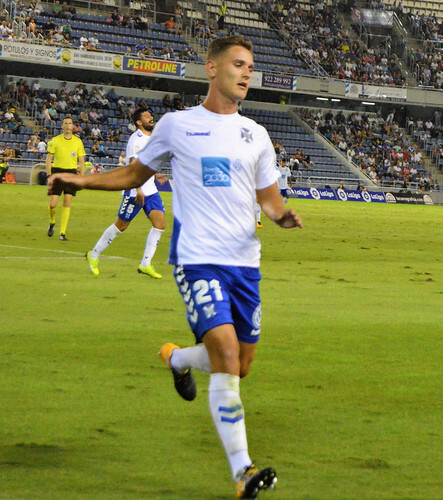 Undabarrena played like a crab in his deep midfield role, sideways and backwards became the home pattern when Tenerife should have torn into the second from bottom visitors. Cordoba were encouraged to have a go and found room on their left against a hesitant Luis Perez. 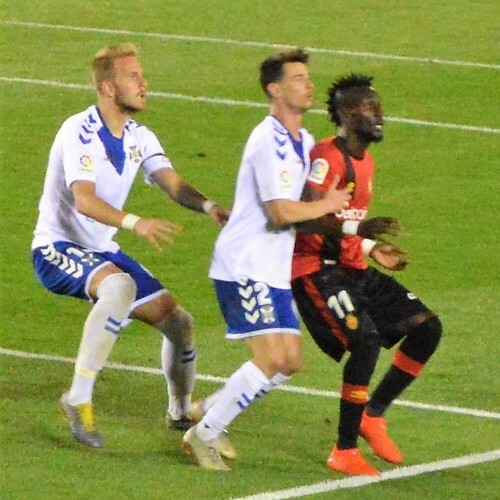 The danger was evident after Dani Hernandez blocked a shot at the post after Naranjo had dropped back and put a half hearted clearance into the path of De Las Cuevas. The forward tried again soon after and drew a diving save from Dani. The home attack was in a shy mood, Naranjo hiding out wide, Malbasic taking one touch too many when he got the ball, and Suso struggling to make an impact. 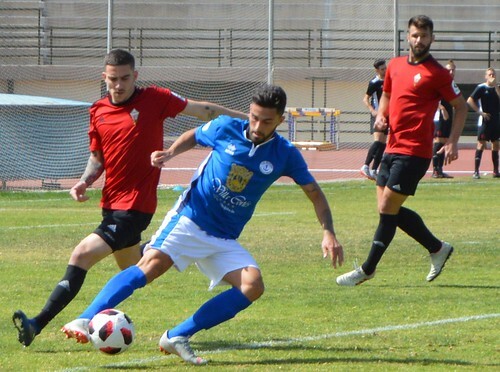 Borja Lasso made a couple of decent chances for Tenerife and they could have rode out the first half all square if their marking had been better. After 38 minutes a corner from Aquado was headed on by Flaño to Herrero at the post to squeeze past Dani Hernandez with a header. 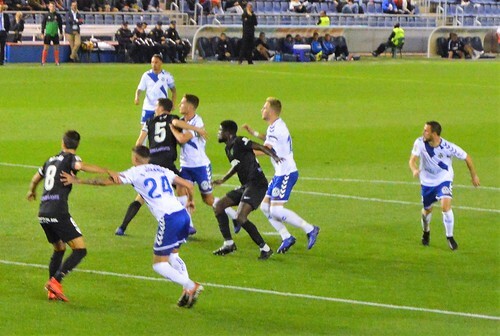 The second half started more promisingly, Borja slipped a little before unleashing a long shot, and Suso started to cut inside from the right to worry the visiting defenders. Malbasic managed a good run and put the ball across the face of the Cordoba goal, sadly there were no takers to finish it off. 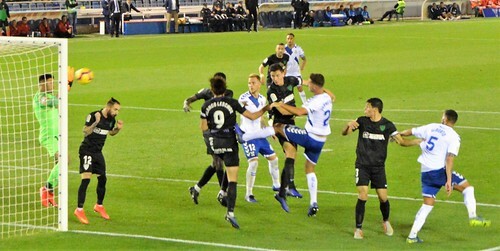 Alberto put a header over the bar as the Cordoba players began to drop easily to waste valuable time and hold onto their lead. Suso got in behind two Cordoba defenders and looked mightily frustrated when his ball into the box was snapped up by the goalie. 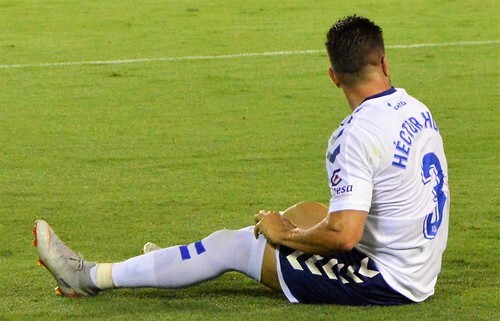 Coniglio, was given 30 minutes to impress when he replaced Naranjo, but the Argentinian striker didn´t make the most of it. Jorge pressed forward to help the search for an equaliser, a weak shot at the keeper was his best attempt. 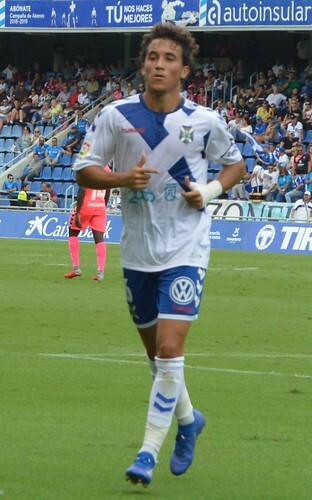 Another January transfer window addition, Isma Lopez, made his debut, taking over from Undabarrena, and tried to open a channel from the left of midfield. 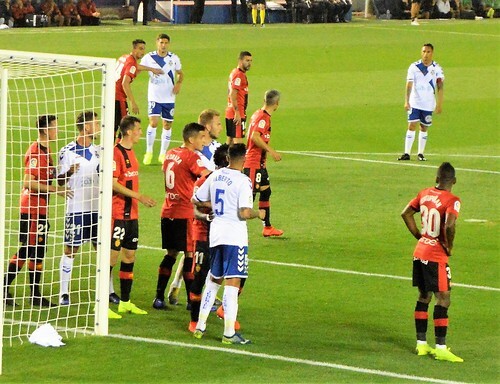 Tenerife were making a few openings but Cordoba had an eye for a break and picked up a free kick a little way outside the Tenerife box. 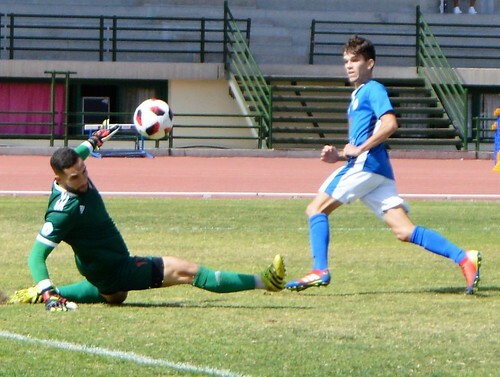 The defence hadn´t learnt from the opening goal and were powerless to stop a well struck goal from De Las Cuevas. 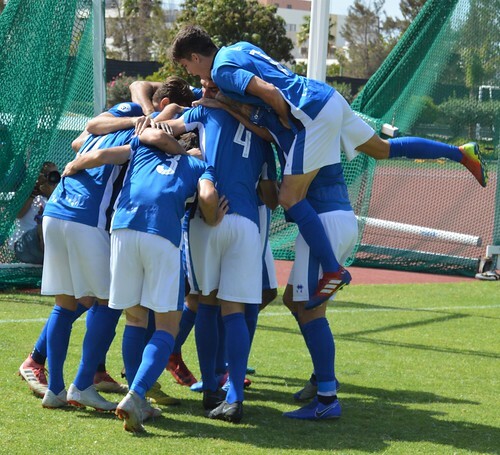 The ref wasn´t making things easy for Tenerife, he booked six home players and added a comedy moment as goalie Lavin slipped when walking backwards, he blew for a Tenerife foul even though there was no home player near. 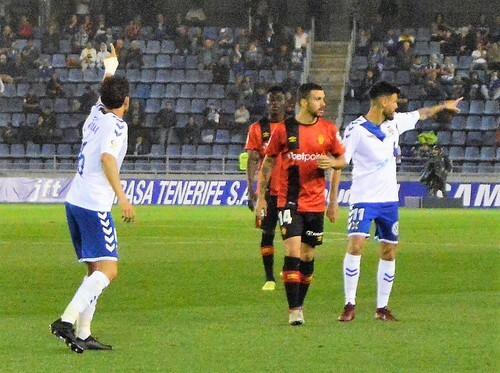 A late bid for redemption saw Tyronne on for defender Perez but it didn´t bring the turnaround, even 5 minutes of injury time couldn´t ignite Tenerife. Coniglio got within sight of the Cordoba goal but defender Quintanilla held him off easily, making the forward look like a light weight. Not a good end to a turbulent week, that saw Jorge sign a 4 million euro pre contract deal that will see the defender move to Valencia in the summer for 5 seasons.